Vacuum cleaner inventor Sir James Dyson invests $15m into company that could revolutionise battery technology. Inventor and entrepreneur Sir James Dyson is making his first investment outside the business he founded and which made him a billionaire, giving his financial backing to a company that hopes to revolutionise battery technology. Sir James who made his fortune inventing and developing the bagless vacuum cleaner is investing $15m into US company Sakti3 which is developing “solid-state” batteries. The money is part of a larger $20m investment round in Sakti3 that includes a deal to commercialise the company’s research and incorporate it into Dyson products. 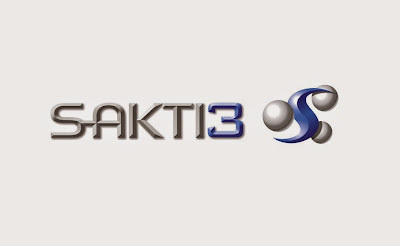 Sir James said: “Sakti3 has achieved leaps in performance which current battery technology simply can’t. It’s these fundamental technologies batteries, motors that allow machines to work properly. Most batteries in commercial use today rely on lithium-ion technology which contains a pressurised flammable electrolyte, which is vulnerable to damage, and also means they are heavy and limits their ability to store power. Solid-state batteries do away with the liquid electrolyte, and instead replace it with a metal one which coats the battery’s electrodes. As well as being safer and able to withstand higher temperatures, using a metal electrolyte means more exotic materials can be used which store more energy, making the solid-state batteries more powerful, smaller and lighter. Sakti3 has produced a battery with an energy density rating of 1100 watt hours per litre using the technology, 50pc better than current lithium-ion batteries. Sakti3 has been investigating how to improve batteries for almost a decade, since the company was spun out of the University of Michigan. Along the way it attracted $50m in equity investments, including from Khosla Ventures, Beringea, Itochu and auto giant General Motors. Sakti3 named as one of MIT’s most innovative companies began by computer modelling the technology and is now scaling up prototype batteries into production. Ann Marie Sastry, founder and chief executive, said: “It was an honour to be approached by Dyson because it wanted what we did much, much better batteries. It sounds much like 1.000 km range, but unfortunately they will end up with probably 500 km, because of so called "safety measures". Not gonnya buy it ! 1000 Kms is "The Answer" It would Sell "Better than Hot Cakes"...Why would anyone Want To Drive., "A Noisy Car With a Chimney" That Needs Constant Costly Maintenance , And Has Tooooo Many Expensive Mechanical Parts that can Break ! If 1000 KMs or better were achieved ,(((Now I'm Dreaming))) People would Line Up For Such a Vehicle .. I know I would , If it Hit The Markets....... .